When you're out of lettuce why not try a lettuce-less salad. 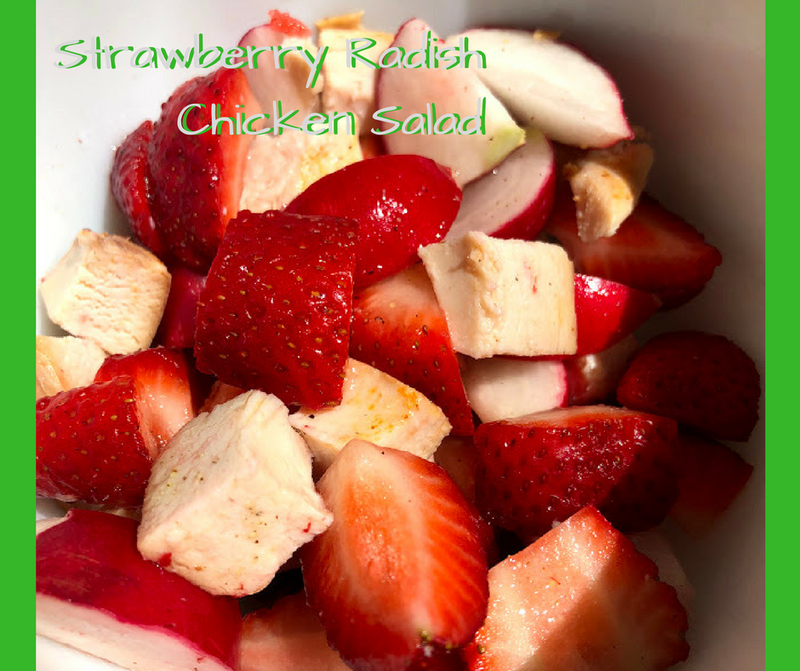 Here's a quick and easy salad pulled together featuring a few quick ingredients and starring leftover rotisserie chicken. Plus, it's only 210 calories according to MyFitnessPal! 1. Quarter radishes and strawberries. Chop chicken. 2. Mix vinegar, avocado oil, honey, salt and pepper. 3. Toss together and enjoy.